I tend to get a lot of inspiration from the internet and of course Pinterest but then I like to put my own spin on things. One such item was this adorable bunny silhouette sign, just in time for Spring and Easter. It would make a wonderful gift and a great display and addition to your spring and Easter decor. 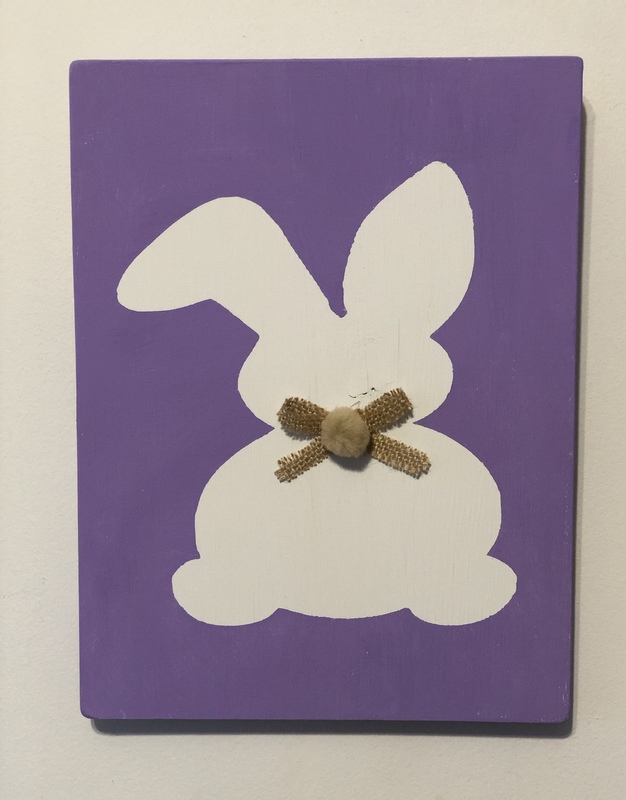 This sign is made from pine board that measures 9 x 12 x .75 , painted white then painted purple after the bunny silhouette stencil was applied. A burlap bow and pom-pom complete the look. This bunny silhouette wall art is now ready to display – to hang on the wall I added a sawtooth picture hanger to the back. You can buy a kit to make your own for $10.00 plus shipping. Contact me @ awandafulthing@gmail.com to place your order. Easy Easter Bunny Silhouette Wall Art is A Wandaful Thing! 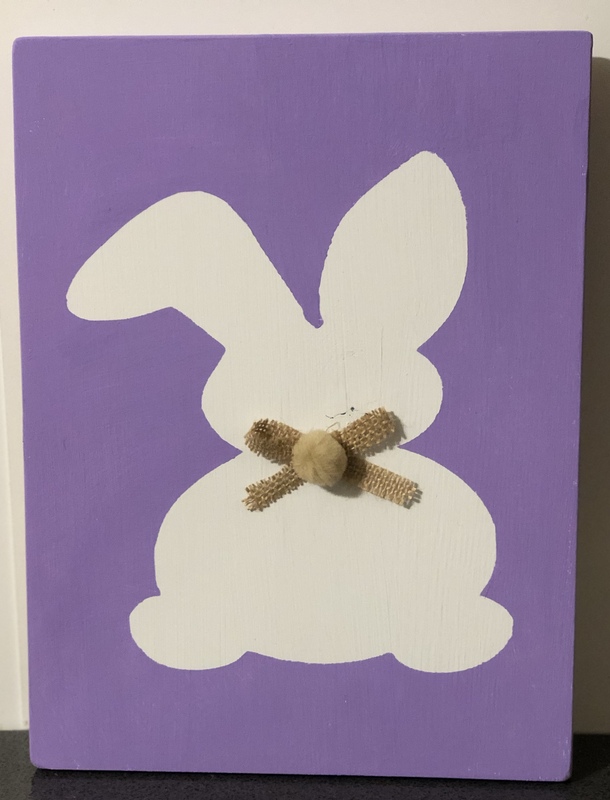 This entry was posted in challenge, Decorate, DIY, Make and tagged bow, bunny, burlap, Decorate, DIY, easter, easy, handpainted, home, ideas, instructions, kit, paint, pine board, pompom, silhouette, simple. Bookmark the permalink. Great deal at $10.00. Sweet to add to Easter / Spring decor.